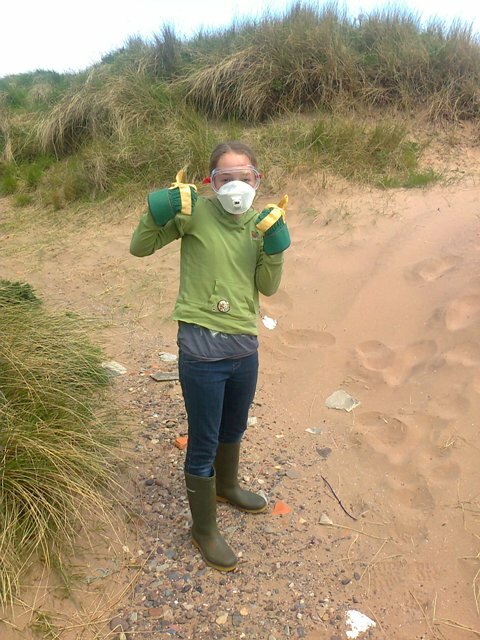 Comments are invited on the management of Forvie National Nature Reserve for the next 10 years! From education, to dogs to management of the protected species and habitats I would welcome your suggestions. 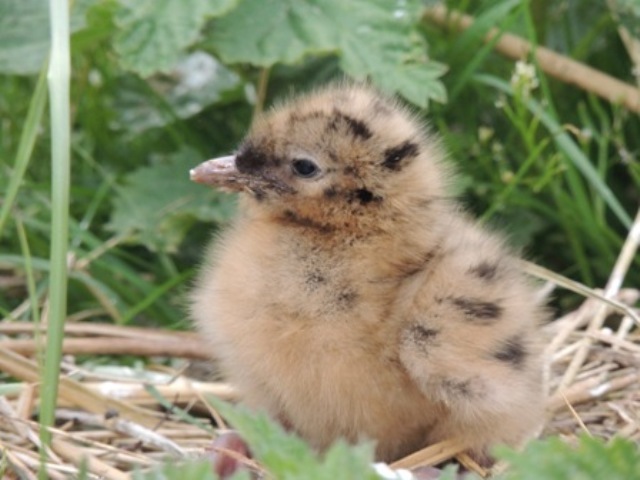 Please complete the leaflet, email nnr@snh.gov.uk or write to the Forvie Centre, Little Collieston, AB41 8RU. Thank you! 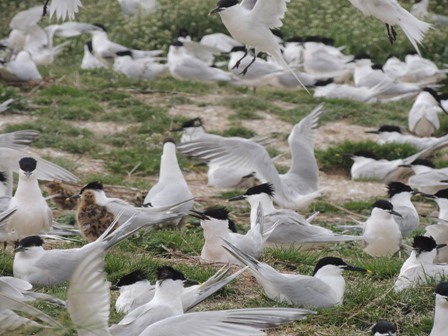 Kerry Smith was a great help to us during her work experience week at Forvie, she also managed to get some excellent photos of the nesting Sandwich Terns and Black-headed Gull chicks! 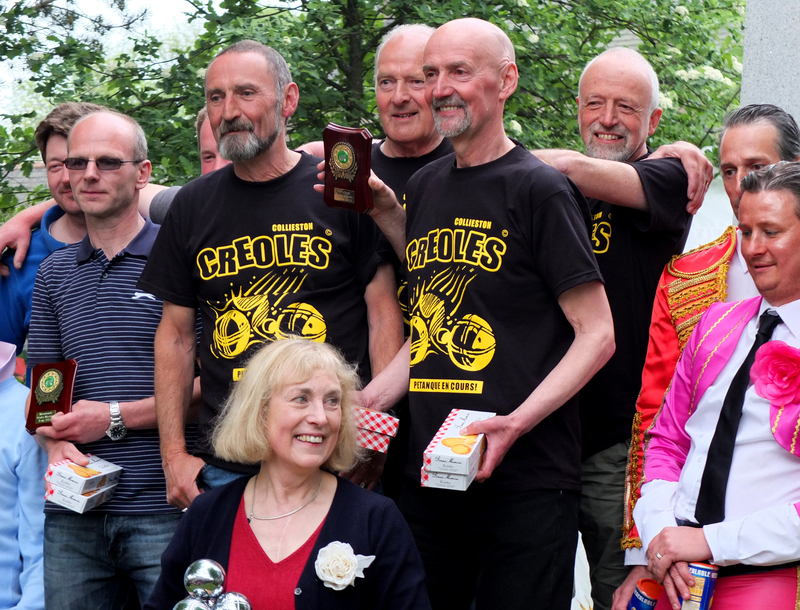 A team from Collieston Boules Club – the Creoles – won the first ever Monymusk Boules Masters tournament held in the historic Aberdeenshire village on Saturday (June 8). The tournament, which raised money for local charity and is scheduled to become an annual event, attracted 30 teams. The Creoles – Jack Page (skip), Ken Ingram, Bryce Thomson and Alan White – won six matches in a row to reach the final which saw them beat local team the Boule Dozers. Collieston Boules Club was well represented at the day-long event with four teams taking part (the Forvie Folkies – Elizabeth Hay, Ellie Ingram, Alison Allan and Charles Esson – came fourth). The Masters trophy, which is retained at the Grant Arms Hotel in Monymusk, was presented to the Creoles by Lady Grant of Monymusk. As part of fundraising to help maintain and protect Collieston’s pier, an exhibition of photographs of the pier is to be held from mid July until the end of October at three venues, The Coastal Cafe in our Community Hall, The Forvie Centre and the Udny Arms Hotel. Both framed and unframed photographs will be available for sale. All profits will be donated to the Pier Fund. We invite you to submit recent digital photographs of the pier – or just aspects of the pier – and to please email them as attachments to colliestononline@yahoo.co.uk by Sunday 16th June. Up to 40 photographs may be selected for inclusion in the exhibition and the organisers will cover the costs of printing and framing them. During the course of the exhibition, visitors will be asked to choose the photographs that they would like to see in the 2014 Collieston calendar.